Like many other types of organizations, associations have shifted their focus to attracting the much-coveted millennial demographic. Younger members are the future of associations, from the board members who will lead your group into the next decade to the many members who pay dues and participate. But successful associations realize the importance of going beyond building a younger membership. Baby boomers, Gen Xers, and members of Generation Z are all vital to the work you do each day. If you focus on stocking your membership with only one generation, you’ll also lose the benefits of having a membership with diverse backgrounds and interests. But how do you market to all of those generations? Here are a few tips to help. The key to building a generationally diverse membership is to have multigenerational leadership. Encourage members of different age groups to volunteer for board and committee positions. Your recruiting strategy should be designed to reach both older and younger board members and directors. Once you have the right team in place, each member will be able to bring a unique expertise to conversations about the growth of your membership numbers. If your marketing strategy targets only one demographic, you’re missing out on essential members that could grow your association. Cross-channel marketing can help you attract people from multiple generations. When using social media to market, Snapchat and Instagram are the best tools in an effort to reach younger demographics, while YouTube and Facebook will help with recruiting older members. If you’re trying for traditional advertising, newspapers aren’t likely to help you reach millennials, but baby boomers still read them. Even TV and radio are not as effective at reaching the youngest potential members as internet-based approaches. A rule of thumb for any form of marketing is to know who your audience is, so don’t be afraid to use multiple platforms for marketing to multiple generations. If your leadership’s decisions are made with only one or two generations in mind, you’ll alienate the members you do attract. The word will get out that your organization shows preference to baby boomers or millennials and you’ll lose any progress you’ve made. This is where having a multigenerational leadership team will help, but you can still achieve generational diversity by holding yourself accountable when making any association decisions. As your membership grows, you’ll have a leadership team, volunteers, and members who can help bring their own peers to your association. Incentivize referrals by offering a discount on dues. Growing your membership is always a challenge, but when you’re trying to avoid attracting only a specific generation, it can become complicated. However, if you start with the right approach, you’ll find that your membership achieves the desired level of diversity on its own, growing from there. 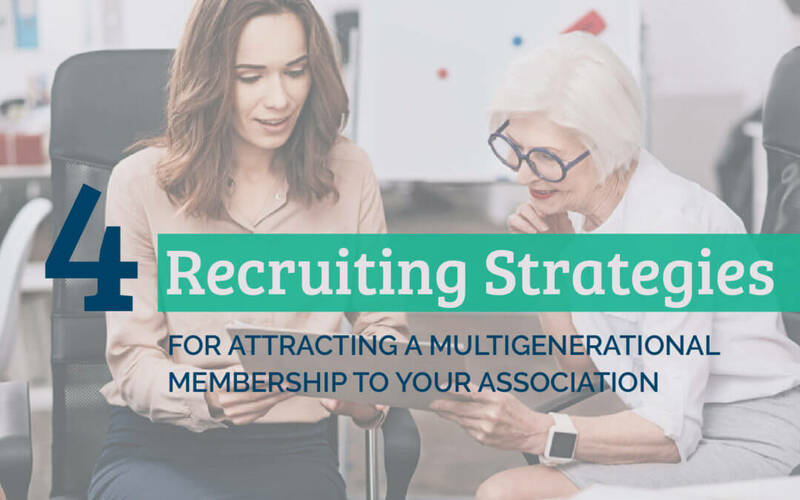 The tool you use to manage your member association should have the functionality to help attract multi-generations. 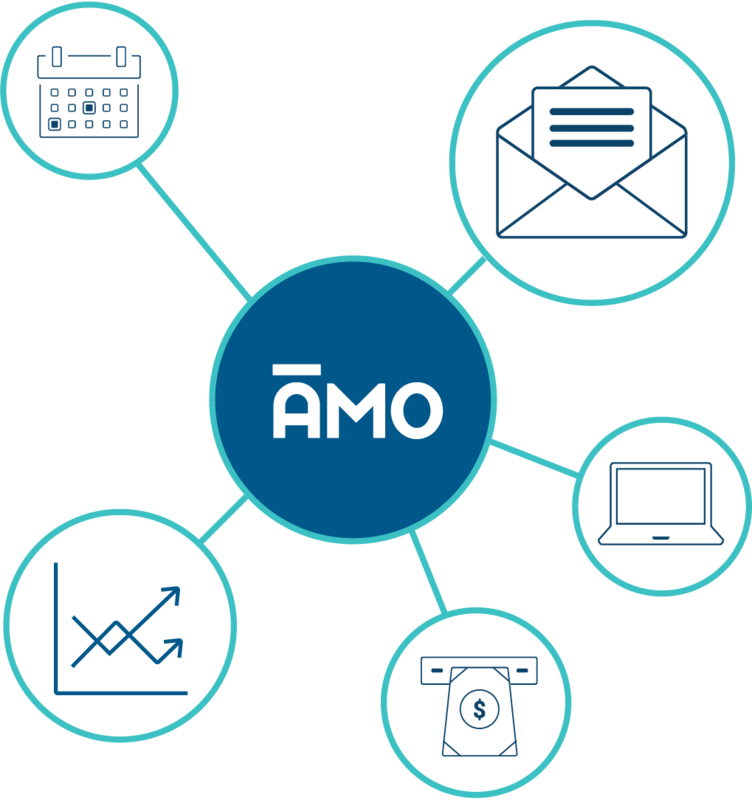 AMO lets you offer discounts and promotions for events and dues as a way to sweeten the deal and incentivize volunteers and board members. Learn more about what AMO can offer your association by downloading our free guide today! Are You Searching For an AMS?